wanderlust ATLANTA: Fright Night is Coming! The Martinis & IMAX Fright Night event at the Fernbank Museum of Natural History promises to be a hauntingly frightful event...in a good way. You thought Night at the Museum was an experience? With the largest meat-eating dinosaur to ever exist in attendance—Gigantosaurus—Fright Night promises to be an experience you won't soon forget. Not to mention there are cocktails, music, food, and the other highly entertaining guests...who knows what'll happen! And of course there are always great IMAX films playing! I can hardly wait to see Hidden Universe. Of course Fernbank wouldn't forget the kiddies...that'd never happen! The kiddies have their own event the very next morning, Saturday, October 26...Fernbank BOO-seum Trick-or-Treat, from 10:00 a.m. to 2:00 p.m. They'll enjoy games and treats and a visit from one of my favorite Atlanta celebrities—Giggy A. Dinosaur! 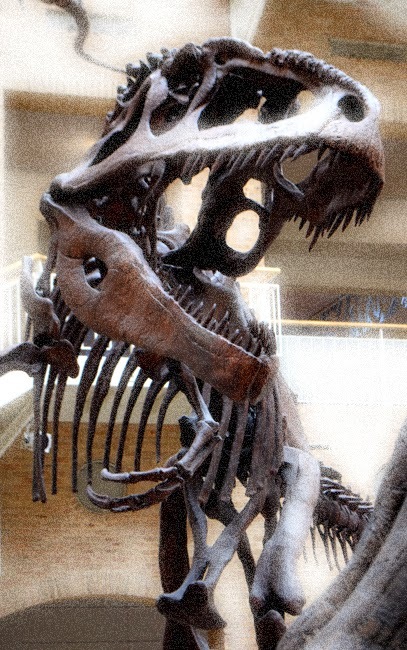 Whatever you do this spooky season—and I do recommend you include Fernbank—have a fun and safe Halloween!